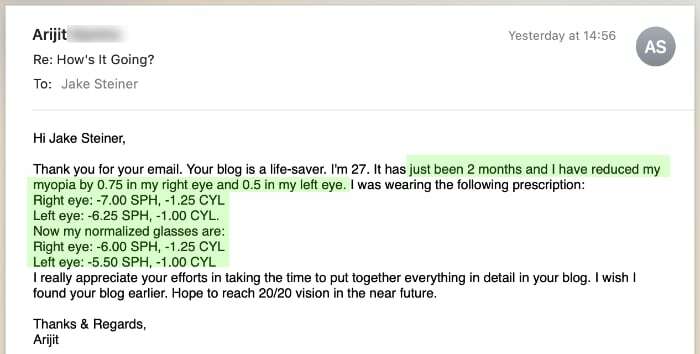 Not more has been going on here in the blog in the past week since your favorite darling eye guru has been on the road. 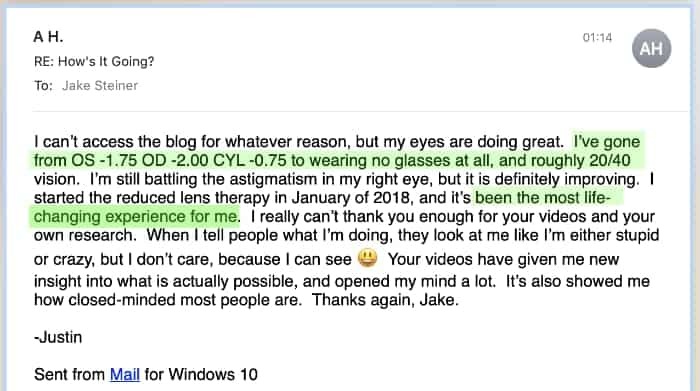 I did manage to make a video summary for parents with myopic children, and as usual all the daily one-on-one discussions with members of BackTo20/20 in the support forum. 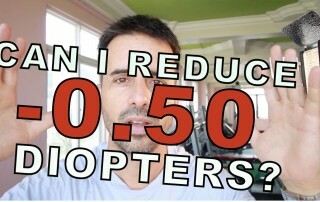 But excuses for not more posts aside, let’s look at some 20/20 gains. Do it for the kids, at least. 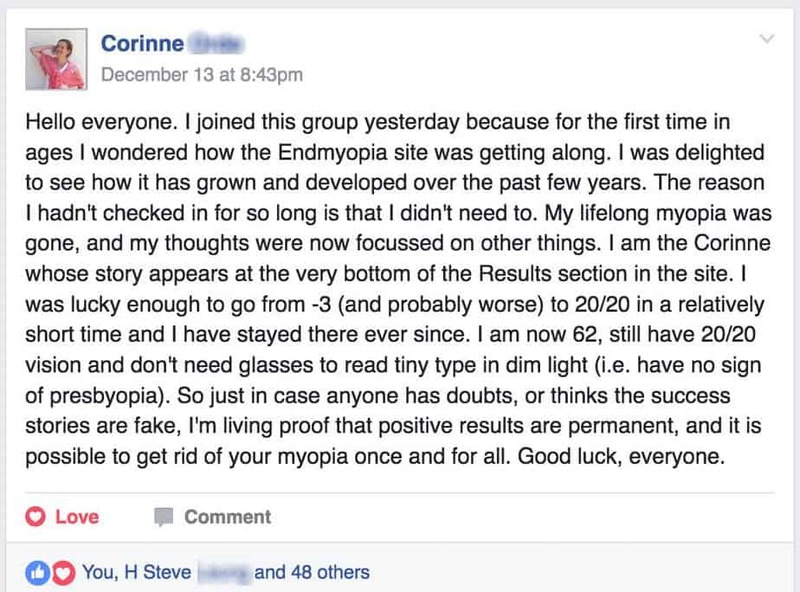 Lots of parents making use of endmyopia resources. 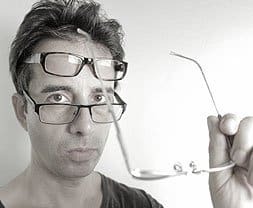 Everything we discuss on this site as far as myopia is up for debate and consternation and keyboard-warrioring and pontificating, till it’s your kids that end up with myopia. Then suddenly it’s can we actually do this, and let’s fix this issue. Likely some over-correction and ciliary spasm. I’m posting this one since it’s totally ok to fall off the diopter wagon once in a while. Happens to all of us, and once you know how to make the gains, it’s easy enough to get back on it when you’re ready. 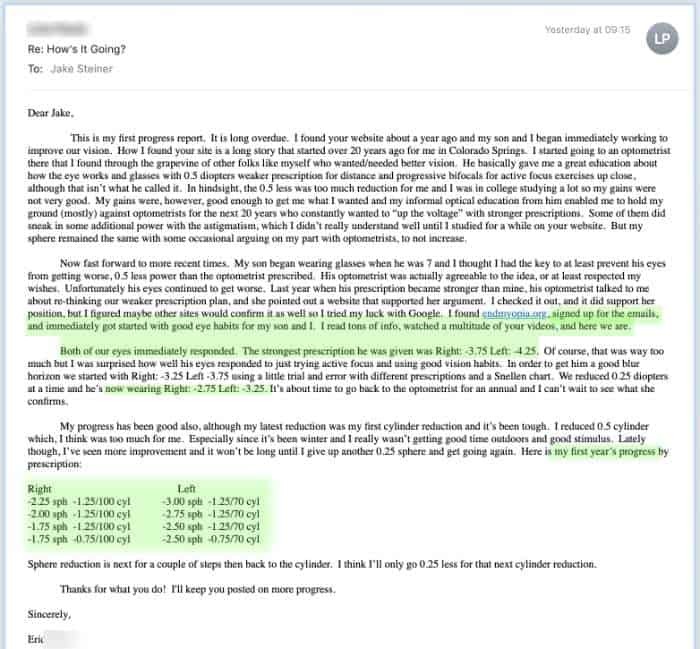 Getting away from high myopia should be a priority for everyone. Sure -7 or -6 is both a lot, but if you look at the trend and progression, you want to be on a curve of less diopters, not more of them. I keep forgetting about Trustpilot reviews! I especially appreciate the darlings among us who take time to put out reviews of their progress. Yes I spend an inordinate amount of time on the free resources. There’s no catch and it’s all free for you to use. However if you’re wondering how to pay me back, just think of paying it forward instead. 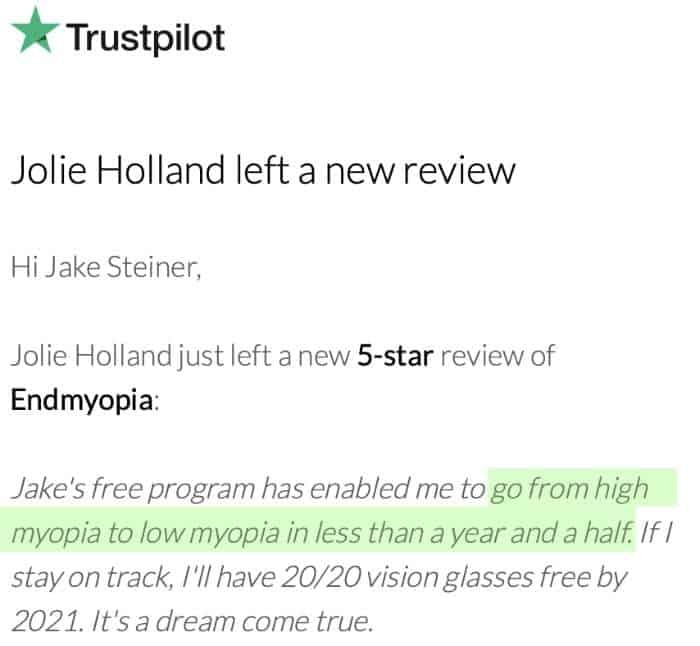 Your voice counts, newbies will find your review, and you’ll inspire someone to start taking care of their eyes. This one should have it’s own blog post, really, rather than being buried in a list of improvement reports. 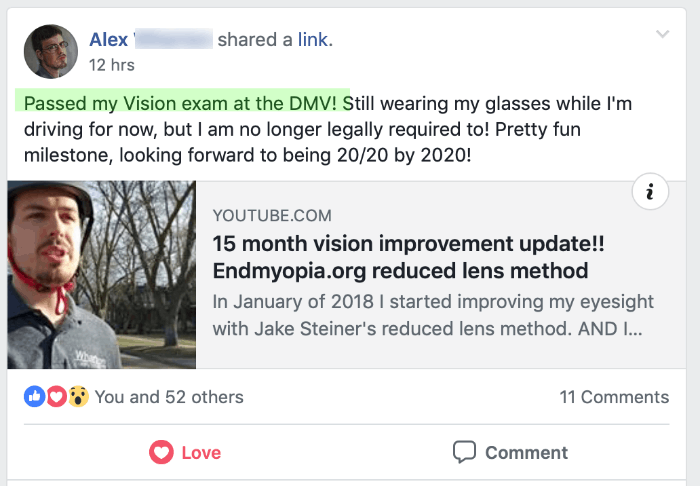 Just like Justin, Alex is back to being able to legally drive without glasses. 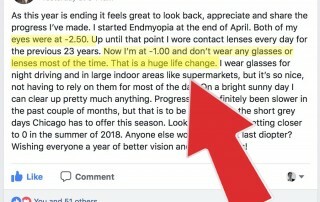 How many optometrists would you have to ask to find even ONE case in their whole entire career where their myopia “treatment” resulted in reversal of the condition? One? Ten? A hundred? Ten thousand? 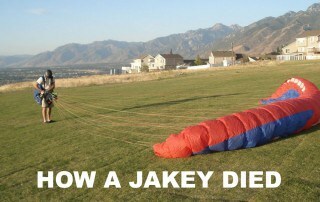 Infinte amounts, Jake, you’re (not) thinking. 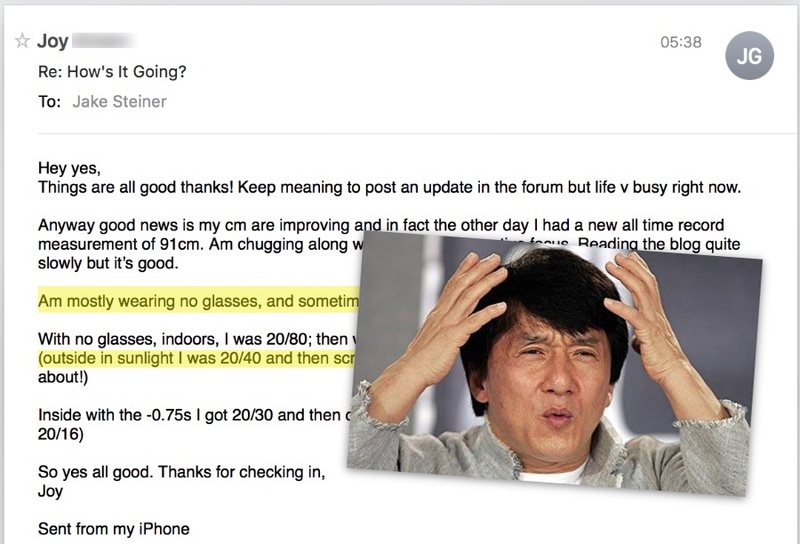 Optometry is to sell glasses for life, not fix myopia. We’re so very spoiled here for these stories, that this kind of incredibly significant improvement is just one footnote in a list of improvement reports. Just contemplate that for a moment. Look at all that. 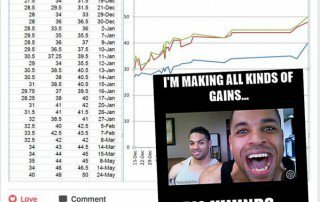 And this is just the tip of the ice berg, there are thousands more making gains right as you read this little post. And truly, myopia, whatever. Think of the bigger picture, you being a slave to some 16th century invention (glasses! 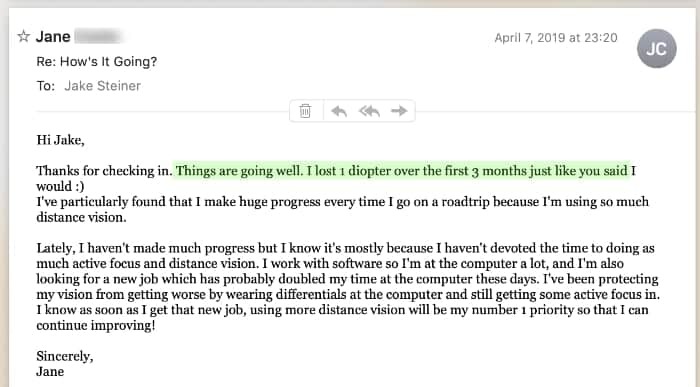 ), a slave to fake focal planes, to the optic shop, to the whims of an establishment that claims you’re a medical condition while continually reaching into your pocket. Yes the Internet is full of unicorn farming, yes it’s easy to go off the deep end on government conspiracies and the fallacies of modern life. Tip toe around all that. 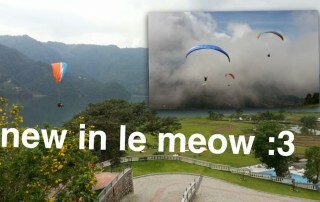 No need to denounce modern life and hermit it up in some mountain cave. Instead just consider small and deliberate changes to improve your life, reduce your dependence on things limiting your perspectives, opt for critical thinking and not taking the easy way on all counts. That and petition your city council for a Jake-statue in the city park. I really need some of those. 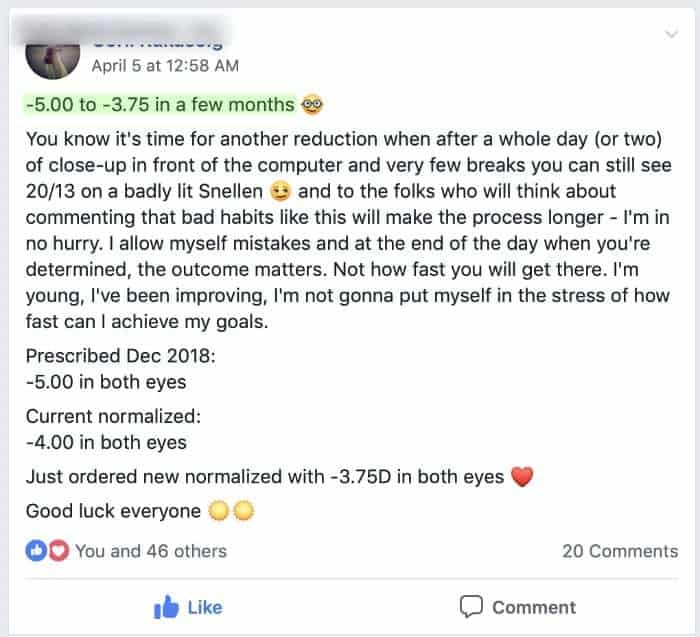 Keep making those 20/20 gains!